For oily skin types, skin care can often feel like a constant battle to mask the shine. But your skin isn’t the enemy and taking care of it doesn’t always have to be a fight. With a few basic skin care tips, you can care for your shiny pores in a way that works with your skin’s nature, not against it. When Effaclar Duo [+] launched in 2014, it set about changing the lives of those with oily, blemish-prone skin forever. It marked a turning point for those seeking a simple yet effective solution for problem skin by providing a correcting and hydrating product in one. La Roche-Posay sells one Effaclar Duo [+] every 10 seconds globally. In 2017, the leading dermo-cosmetic brand introduces two new product offerings; Effaclar Purifying Mask and Effaclar Duo [+] SPF30. I would class my skin as a combination of oily and normal. I have an oily T zone and the rest is normal. I was more than happy to try out these new products in the La Roche Posay Effaclar range. More than 1 in 5 women with oily, blemish-prone skin use a mask at least once a week to absorb sebum and reduce pore size. Whilst offering an immediate clean-feeling finish, regular masks can sometimes dry the skin, causing micro inflammation of the sebaceous glands, which can actually cause the skin to produce more sebum over time. If you dry the skin too much it over produces oil. In response to this, La Roche-Posay has created NEW Effaclar Purifying Mask, its first unclogging, purifying, sebo-controlling mask that cleanses skin from all impurities, without over-drying the skin, for long-term efficacy. I am a mask fiend so I loved this when I heard it. I tried the mask straight away and I was very very impressed. I find that throughout the day the shine on my T zone gets progressively worse. But after I had used the mask the shine was effectively gone for at least 2/3 days. 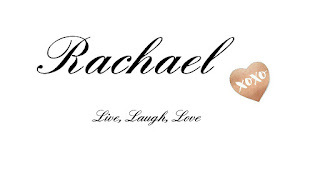 It made life so much easier,no consistenly powdering or baking makeup. So what is the magic ingredients which make this mask so effective. o Argilla & Kaolin - Argilla gently absorbs sebum at the skin’s surface whilst Kaolin offers very precise and in-depth sebum extraction. o Panthenol B5 - Well known for its intense soothing properties, it acts directly to soothe and block inflammation, helping to avoid the overproduction of sebum. o Cellulobeads™ - A natural active ingredient with a high capacity to absorb oil. Cellulobeads™ remove impurities from the skin (even invisible impurities caused by pollution) for a deep cleansing sensation. I am eager to see how using the mask twice a week consistently for a period of time effects the skin.So you just apply a fine layer to skin once or twice a week after cleansing. Leave on for 5 minutes before rinsing off. New dermatological research from La Roche-Posay dismisses the myth that the sun’s rays can help clear the skin and shows that in-fact, UV exposure worsens acne**** by over-drying the skin and causing the hyper-activation of the sebaceous glands. It can also lead to worsened pigmentation and scarring once the blemish itself is gone. 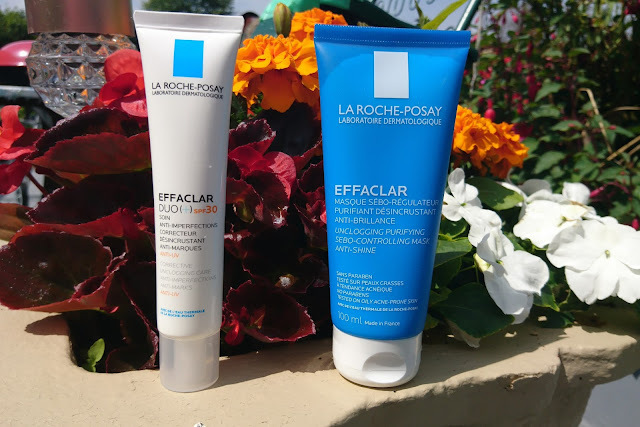 What’s more, La Roche-Posay recognises that the greasy texture of most sunscreen is off-putting to those with oily skin so the NEW Effaclar Duo [+] SPF 30 provides broad-spectrum protection in a pleasant, wearable formula. I have been using this since I received it and I really like the result. Any imperfections I had have been cleared up, it works effectively on spots and evens the skin tone. It also seems to control shine a little and can be worn under makeup. I usually apply mine and then apply my makeup over it. So how does it manage to do this? o XL Protect - technology taken from La Roche-Posay’s leading suncare range Anthelios which blocks all UV radiation from UVB to long UVA. o Exclusive antioxidant complex [Vitamin E + Thermal Spring Water + Carnosine] - to neutralise the oxidative stress provoked by the environment and pollution. Both of these are available from all La Roche Posay stockists. Locally in Waterford it is available from Waterford Health Park Pharmacy, and other selected pharmacies nationwide.